NIA CHARLESTOWN NEVIS (December 28, 2018) — The Nevis Business Corporation (Amendment) Bill, 2018 and the Nevis Limited Liability Company (Amendment) Bill, 2018 were passed unopposed at a sitting of the Nevis Island Assembly on December 28, 2018. The bills were tabled at the parliamentary sitting by Hon. 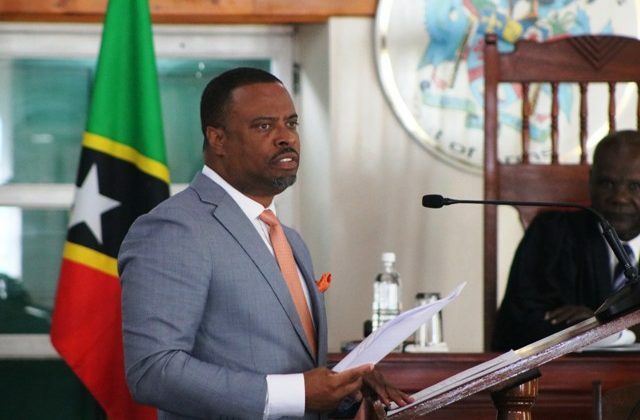 Mark Brantley, Premier of Nevis and Minister of Finance, in what he described as a move he hopes would satisfy concerns of the European Union (EU) regarding the island’s Offshore Financial Services Sector with a stipulated deadline of December 31, 2018. Mr. Brantley used the opportunity to give some detail of the new legislation that would be used to repeal the parent legislation. “What we feel the EU wants us to do which is to have the same tax regimen for local companies as for these entities formed under this legislation that will be achieved for new entities being formed after December 31st, but the thousands, many thousands of entities that currently exist on our books they will continue to get the tax exempt status until June 30th, 2021,” he said. The Premier noted that time was paramount since the administration was notified one week ago of the EU’s deadline. As a result staff at the Legal Department were required to work throughout the Christmas holiday to prepare the amendments for the sitting. The parent ordinance had to be amended, repealed and replaced, gazetted and submitted to the EU by January 03, 2019.